The Rugby Football Union chairman Andy Cosslett insisted that England head coach Eddie Jones has got the full backing of the board but it is not 'unconditional'. Jones had a terrific start to his stint with England as he helped the team to 23 wins in 24 games that saw them climb to the second position in World Rugby Rankings after a disastrous 2015 World Cup. However, things have been tough for the 58-year-old this year with the team struggling to make an impact in the Six Nations tournament where they finished fifth and also lost the series against the Springboks in South Africa in the summer tour. A consolation win in Johannesburg would have provided some relief but Cosslett has stopped giving a guarantee for Jones to be in charge of the side during the 2019 World Cup in Japan, with the England boss set to meet the RFU this week to prove he can arrest a sharp decline in form. "Things happen at the most inconvenient time - that's what life does. There is no time limit and you make decisions on the basis of the evidence or information you have at any given moment," Cosslett said. "Hopefully we won't have to face that and we will have a run through to the World Cup. "We have shown a lot of confidence in Eddie and we think he is still the man, but we will see where it goes to from here in terms of the next few months. "You're asking for unconditional support but only my children get that. And even then not always! "It's not something you give because you're under assessment the whole time. It's just not what we do. 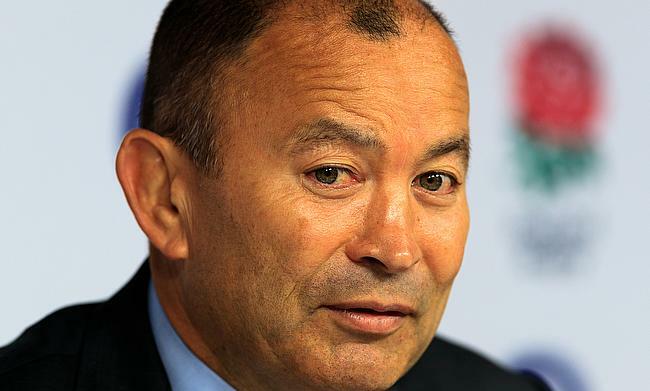 "Eddie has earned the right to make a strong case for the way ahead. We'll listen to his review of the tour and it will be fascinating to hear what he's got to say. "Eddie came to our union when it was at its lowest ebb after the World Cup. He grabbed it and took us on this extraordinary run."